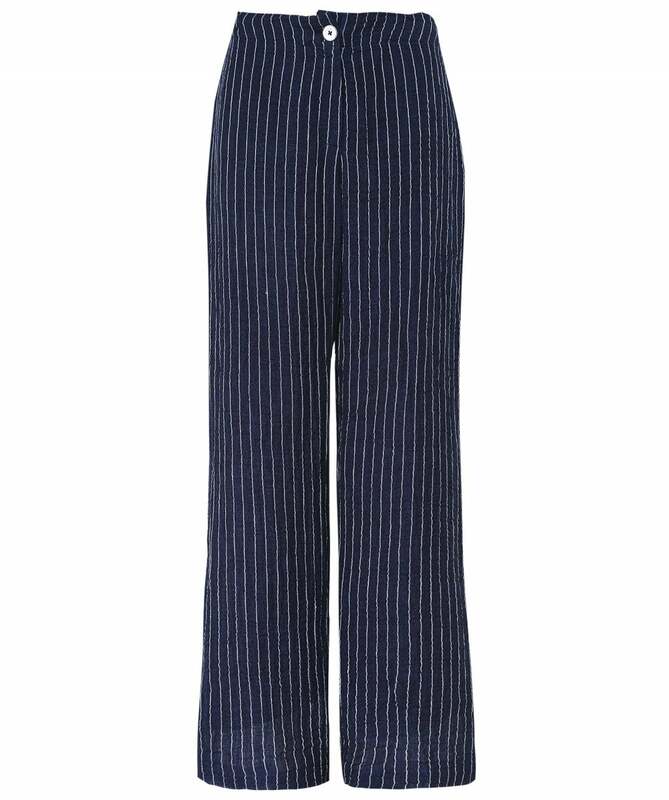 Expertly crafted from a lightweight linen blend, the Crea Concept pinstripe trousers are the perfect addition to your casual wardrobe this season. 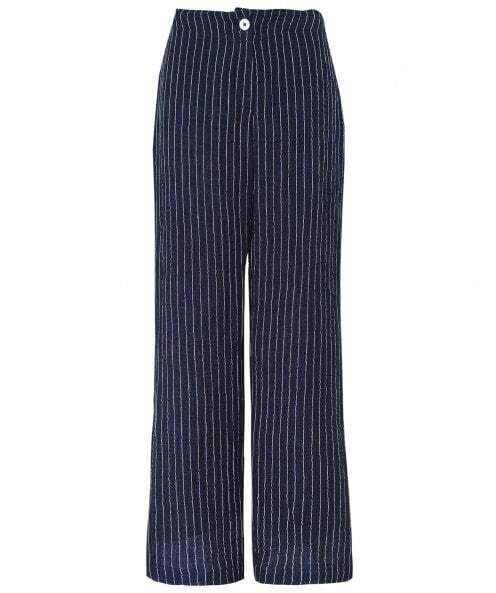 These airy trousers feature a button and zip fly fastening, half elasticated waistband and a wide leg silhouette for premium comfort and fit. Style yours with a boxy blouse and trainers for an effortlessly chic look.